It ain't worth Nada if it's not a Proper Chelada!!! Our Classic Dill Spear with the slight fire of some fresh habanero chili peppers. The pickle you have been waiting for. It is our famous pickled persian cucumbers spiced up with the perfect amount of Habanero Chili Peppers. 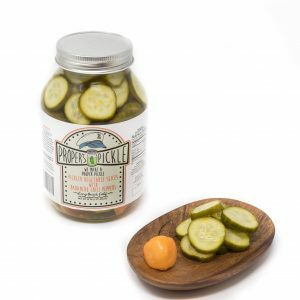 These beauties combine that classic taste of fresh garlic and fresh dill that a Proper's Pickle always delivers with the punch of spicy and robust pepper. These are everything you could ask for in a spicy dill pickle. Get them while they are hot!! Time for the big boy. 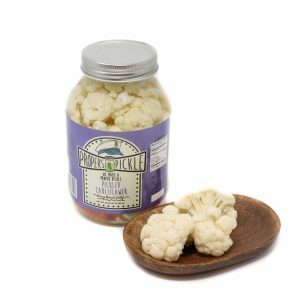 Same amazing Pickled Cauliflower in double the size!!! Now you don't have to hide the jar in the fridge from each other. 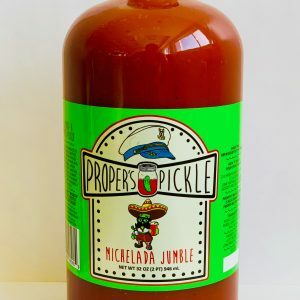 Proper’s Pickle was started by Bijan and Pejmon Noori in early 2014. 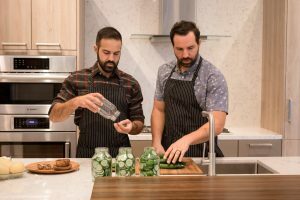 The two brothers had already been making pickles for a long time under the guidance of their father, who was known for pickling anything and everything. 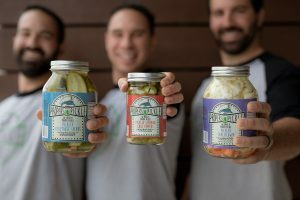 Bijan and Pejmon also have been known to venture into unknown pickling territory for a few of their best customers, including products like Pickled Sweet Maui Onion with Habanero. Even their Famous Mixed Jar uses Persian Cucumber as opposed to your traditional Pickling Cucumber. You will never see dry dill seed or pepper-flakes floating at the bottom of your jar, but you will see pieces of fresh dill and large cloves of fresh garlic. 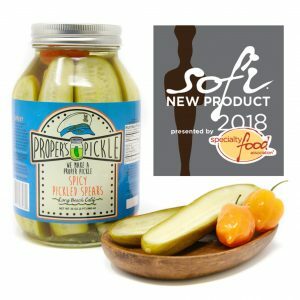 While most pickling companies think it is okay for their products to be kept on dry shelves for months at a time, Proper’s Pickle believes in cold storage only. 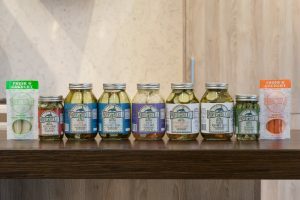 Proper’s Pickle is also a very strong believer in using only natural ingredients so they can deliver the vegetables and peppers they use in their best form. © Proper's Pickle 2019	| Theme design by Deuce Themes.